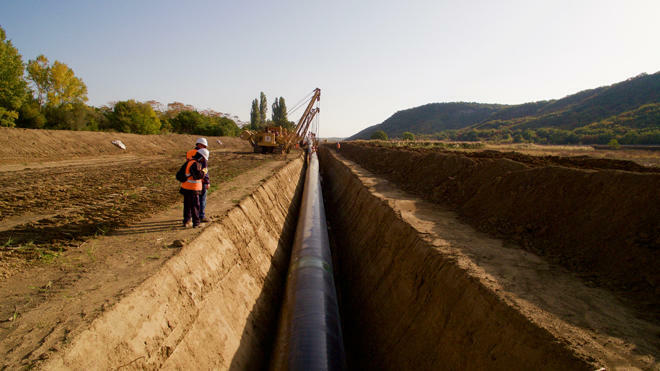 The Trans Adriatic Pipeline (TAP), which envisages transportation of Azerbaijani gas to Europe, will strengthen Italy’s energy supply security, Davide Sempio, spokesperson for TAP AG in Italy, said, AzVision.az reported citing Trend. "In the face of an increased need for import and supply contracts for 35 billion cubic meters due to expire, the arrival of gas via TAP strengthens the security of supply and also has positive effect on the price,” he said. Sempio went on to add that world energy demand grew by 2.3 percent last year, its fastest pace in this decade. The gas demand recorded the greatest increases: +45 percent of the increase in the balance of world energy consumption, he added. "Italy and Europe have embarked on the decarbonization process. Gas will play an increasing role in this process,” said Sempio.